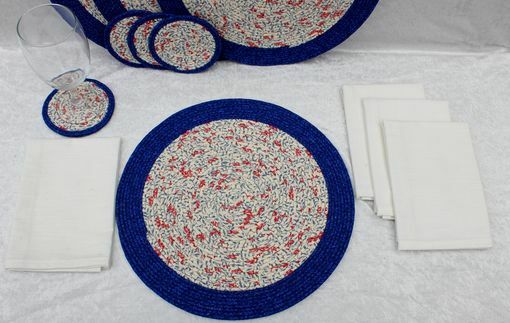 Beautiful patriotic placemat set. Set includes 4 placemats, 4 coasters, 4 linen napkins. 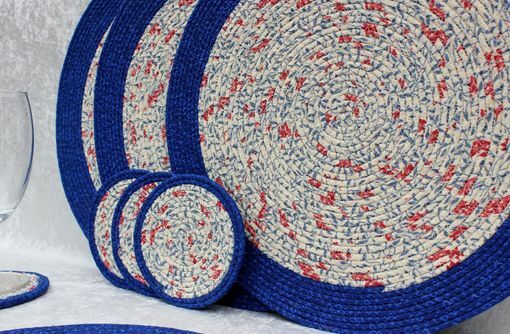 This placemat set is designed and constructed by handwrapping cotton clothesline with strips of fabric. 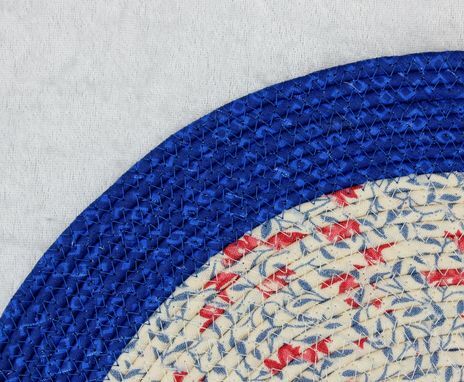 The wrapped rope is then machine sewn with a zig zag stitch to form a placemat or coaster. Coordinating bowls, table center pieces, wall hangings, can also be desgined to match. Dimensions: placemats approx. 14.5 inches in diam. Coasters - 4.5 inches in diam. Napkins approx. 17 inches in diameter. 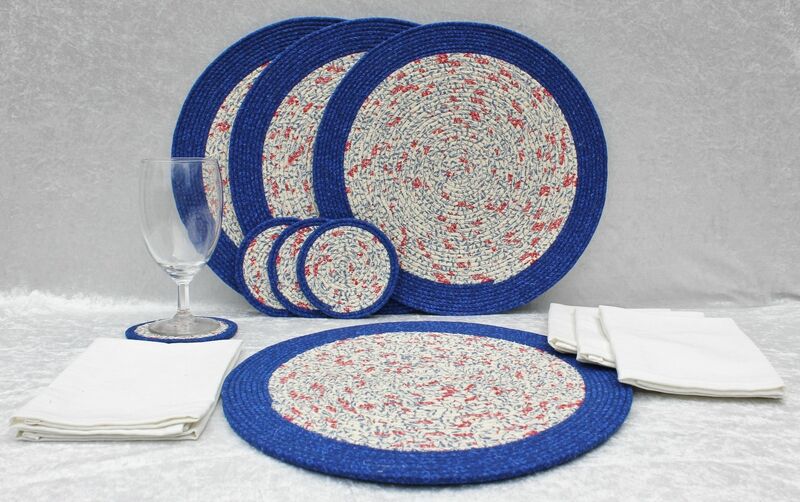 Placemat sets can be designed with fabric to match any decor. Care: pieces can be spot cleaned with mild detergent.